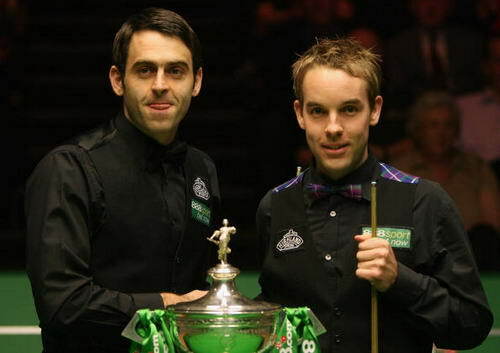 World Snooker Championship Day 15: Ali Carter and Ronnie O'Sullivan set up a repeat of 2008 World Final in 2012. The Captain was the first one to book his final place, his second world final. Carter led Maguire by 14-10 before the final session, he simply did not want the match to go into mid interval. 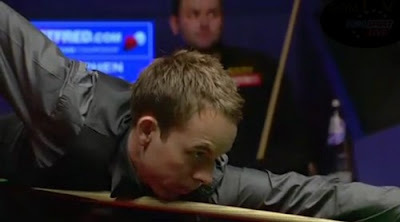 In the opening scrappy frame, Carter was trapped in a superb snooker that missed to hit the red for six times until Referee Leo Scullion decided not calling a foul. Maguire went for the double but missed, left Carter a difficult red but Carter potted it and cleared up. A superb fluked red in the next frame put Carter just one frame away from victory, 16-10. The match appeared to be finished before mid interval, Maguire hit back to win the next two frames to keep his hope alive. Nevertheless, Carter got his job done with a 70 break to claim the victory, 17-12. The former Welsh Open and Shanghai Masters champion said: "I'm not just happy being in the final. We'll see what happens. On the performance of his opponent, Carter said: "I'm surprised by the way Stephen played. I think he thought he was going to beat me easily the way he started." Maguire said after his lost, "There were at least eight frames I lost on the colours or the last red. I took so many hits I felt like a punchbag out there. It starts to hurt after a while when you get so close. I don't know how to take this one to be honest." The third session of O'Sullivan versus Stevens were shared, 4-4 despite the fact that Stevens could win the session and got closer on the scoreline. Stevens showed his effort to trail by 9-12 but his errors during the last two frames of the session put Ronnie into a good position to reach the final. 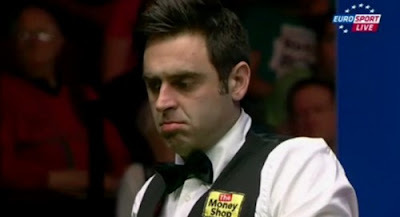 Ronnie claimed 15-9 lead, and during the last session of the semi-finals, Stevens surrendered by 10-17. The Rocket may retire after the championship? "I don't intend to stay in the game long; even though I've been in a much better place I've made the decision that this might be my last time playing in this tournament," said 36-year-old O'Sullivan. "I've weighed up the plusses and the minuses and I'm quite comfortable with that decision, if I win it great, absolute bonus, if I don't at least I can say I've gone out on a high.'' "Yes! I hope he does retire!" said the Welshman. "I can't see him doing it but you never know with Ronnie, if he did retire as world champion, what a perfect way to finish but I think he loves the game too much. The two players in this year World Final are the same as that of in 2008 but the main difference would be none of them has made a 147 in the previous rounds. The final in 2008 was not close, Carter lost by 8-18. However, Carter got advices from Peter Ebdon this year. "I feel totally different to the way I did four years ago. I was mentally knackered then. I wasn't getting to bed until about 3 in the morning." The head-to-head is all the way Ronnie O'Sullivan leads, 13-1. 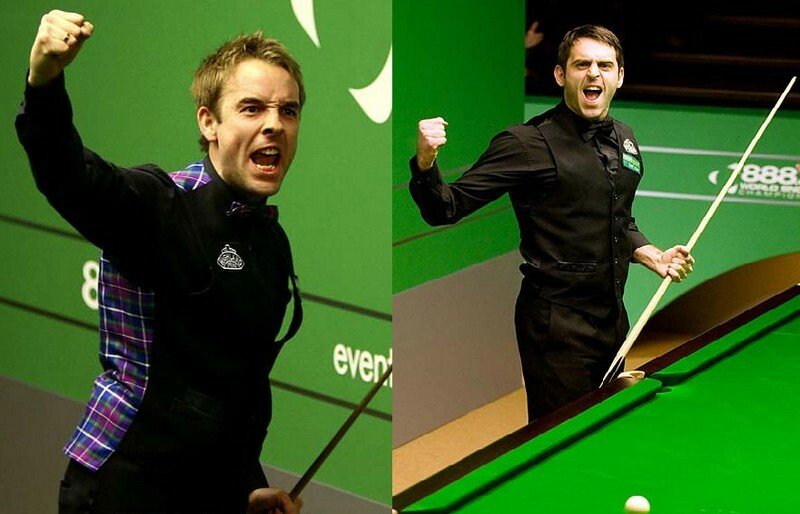 Carter has never beaten Ronnie in a ranking tournament but Carter needs the title to put himself back into the top 16. I hope it would stimulate Ali trying to play his best snooker but still O'Sullivan is the favourite to win his fourth world title.